Tony Hillerman is beloved for his novels of intrigue in the American Southwest. In Tony Hillerman’s Navajoland, Laurance Linford takes readers on a journey through the Four Corners region to the haunts of Hillerman’s characters. Offered in encyclopedic form, each entry gives the common name of a particular location, the Navajo name and history, and a description of the location’s significance in various Hillerman novels. 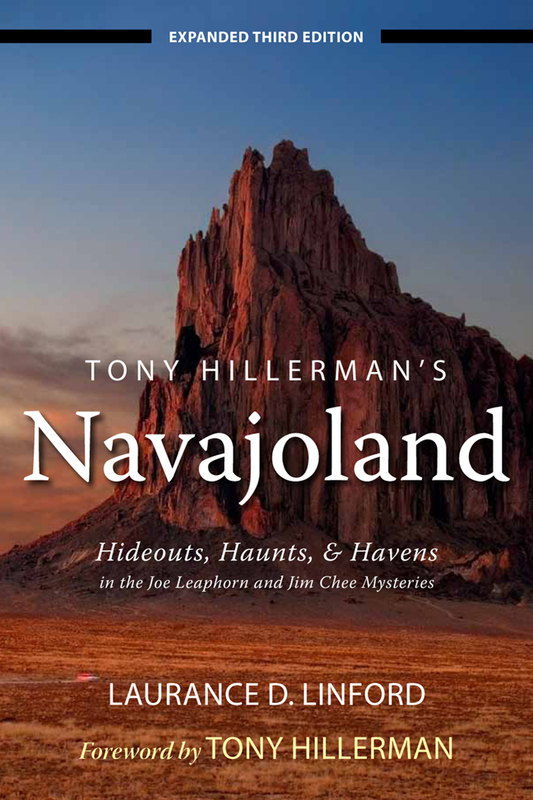 An understanding of the Navajo names and their relations to the landscape will lend a new dimension to the characters and events Tony Hillerman created. This expanded third edition is updated to include all 72 sites from Hillerman’s final and location-rich novel, The Shape Shifter. Laurance D. Linford was trained as an archaeologist. Formerly executive director of the Inter-Tribal Indian Ceremonial Association in Gallup, New Mexico, he is now an administrator for the Gallup-McKinley County Public Schools. Linford is also the author of Navajo Places: History, Legend, Landscape (University of Utah Press, 2000).